Overnight, the Saudi Arabian government admitted responsibility for the death of a Washington Post journalist (and US resident) Jamal Khashoggi, claiming that it was as an interrogation that went awry. It seems like it could be a massive geopolitical problem, right? A murder of a notable US-connected critic of a Saudi citizen, one that spoke against the regime? Trump was referring to the weapons being sold by US defence contractors to that country. 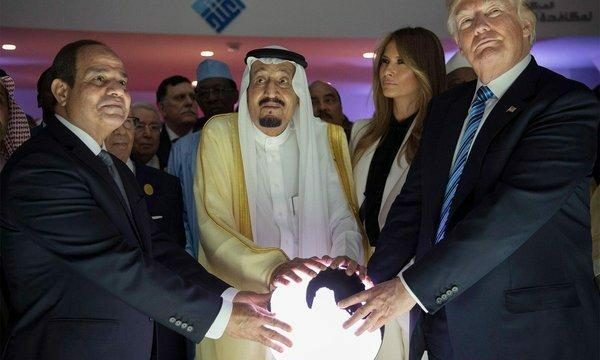 For those playing at home, it was the $110 billion deal agreed upon when all parties involved touched an orb and became a meme. However, a cabal of US Senators are now calling for an investigation into the death, one that would see economic sanctions placed on the kingdom if they were found responsible. But all this grows irrelevant when you glance at the bottom line. Donald’s Art of the Deal is in play here, even if there is some blood splatter present. 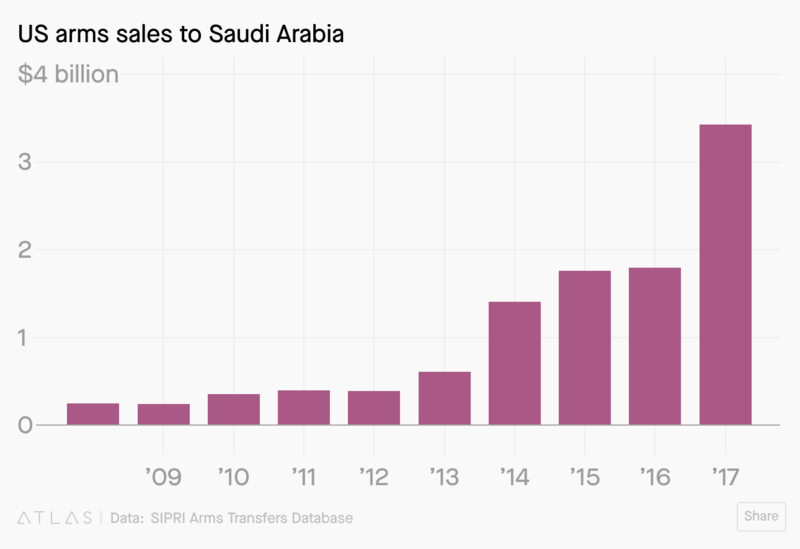 Since his ascension to the American throne, the flow of weapons sales to Saudi Arabia has nearly doubled. Sadly, one journalist seems to hold little value in the greater scheme of things, despite the obvious injustice and visceral nature of his end. Supporting Saudi Arabia has been a longtime foreign policy priority for the US. It was, of course, instrumental in the staging of the first Gulf War, and more recently, weapons sales were increased when the Kingdom became involved in Yemen’s civil war. On a larger scale, the US funding of Saudia Arabia is ostensibly to keep pace with their regional rivals Iran, in order to win what is colloquially known as the Cold War of the Middle East. Civilian deaths connected to US-supplied weapons (such as the recent strike that hit a Yemeni school bus) already has lawmakers demanding stricter oversight, but whether the death of Khashoggi will enable further control, or a greater discussion is hard to figure. Maybe the issue is too fragmental to solve, or perhaps due to the financial stakes at hand, maybe it’s an issue that will quietly outlive this momentary outrage. Raytheon, who made the 618 glide bombs sold to the Saudis, have garnered $2.4 million in political donations to the US this election cycle. Boeing, the lead contractor for Apache and Chinook helicopters, donated $3.2 million. Lockheed Martin and its employees, which make the Blackhawk, wrote a $3.7 million cheque. There’s another aspect at play, in that we don’t have the full picture of Donald Trump’s relationship with Saudi Arabia. Per Quartz, many Trump administration deals has hinged on the relationship between Donald Trump’s son-in-law, Jared Kushner and the Crown Prince Muhammed bin Salman. A lack of disclosure is problematic, as the Crown Prince has pushed the Kingdom to a more authoritarian state, inclusive of the kidnapping of Lebanese prime minister, a shakeup of his own elite, and perhaps, now, the death of Jamal Khashoggi. All this is either something new, or American history merely repeating. With The Atlantic already making the comparison between the Crown Prince and Saddam Hussein, I feel the cycle is set to repeat. Hussein, after all, was a recipient of US arms in order to keep pace with Iran during their Civil War in the 1980s.